As of this month, Belfasts new Bus Rapid Transit (BRT), dubbed “Glider”, has become operational. It operates along corridors in the east and west of the city with buses scheduled to run every seven to eight minutes. According to Translink – the public transport operator - the new service offers high quality service providing people with better access to jobs, hospitals, shops, schools, colleges, and entertainment. The new Glider services replace most of the current bus services on the routes that it serves. It is expected that Glider services will prove more reliable and cut public transport journey times by as much as 25 %. In order to achieve these benefits, the Glider system introduces a number of major changes compared to the former bus service. The Glider vehicles will be 18 metre articulated buses with a capacity of 105 people. These articulated vehicles provide a greater capacity than that provided by current double deck buses. Seat capacity is limited to 46, as the system has been designed to be tram-like. To ensure a smooth ride, all roads along the Glider routes have been resurfaced. Glider routes consists of both dedicated bus lanes, that are operational from 7am to 7pm, and mixed traffic lanes, which are available to all traffic. To improve speed and reliability, priority will be given to Glider vehicles at signalised junctions. On-street parking that affects the BRT bus lanes has been removed, whereas short-term parking restrictions have been introduced to discourage long parking on lay-by parking spaces. The number of bus stops on the Glider routes has also been reduced by about a third - however the remaining stops have been upgraded to provide secure and sheltered areas that enable quick and easy access to the vehicles. Major stops and interchanges also provide secured cycle parking. In addition, a new ticketing system has been introduced, which no longer requires any attention of the bus driver and speeds up boarding. Passengers complete their ticketing before boarding with ticket vending machines and Smartcard validators at every stop. The off-board ticketing is a first for Northern Ireland. Despite promises of improved public transport offered by the new BRT, it's introduction has not been without controversy. Implementation of the BRT started in 2014 and road works led to long delays in east Belfast. Residents and businesses in have voiced their frustration with delays and changes to existing amenities. Much of this frustration is caused by the parking restrictions that have been introduced with the launch of the 12-hour dedicated bus lanes. 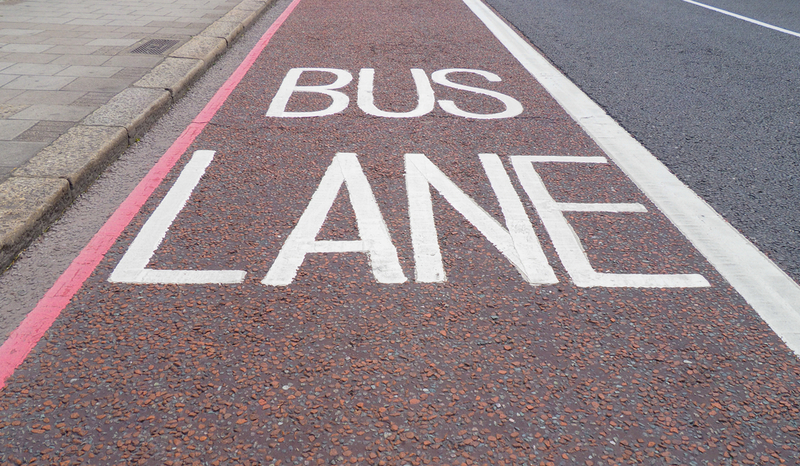 The bus lanes are also considered to be a major cause of congestion, as they take road capacity from other traffic. The BRT project required an investment of almost 100 million Euro. The DfI has been successful in securing €17 million of European funding for the project from the European Regional Development Fund, through the Investment for Growth and Jobs Programme for Northern Ireland 2014-2020. The funding contributed to three main areas of the project: the Milewater Service Centre where the Glider vehicles will be stabled and maintained; the new Glider off-board ticketing system; and the new Glider halts. DfI hopes it will encourage people to use public transport. It is the intention to extend the BRT network to other areas of Belfast, subject to the success of phase 1 and the availability of funding.